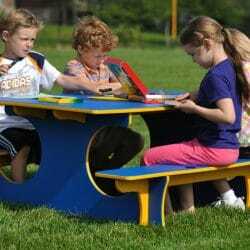 The Art Table provides seating and a work surface for up to 6 children on the early childhood playground. The plastic top has three cutouts for stainless steel cups that are great for organizing art supplies, markers, paint brushes, glue sticks, etc. 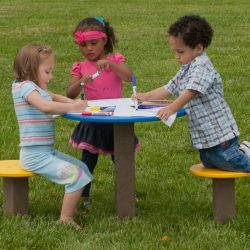 The ridge in the center of table top prevents runaway markers from rolling off the table. 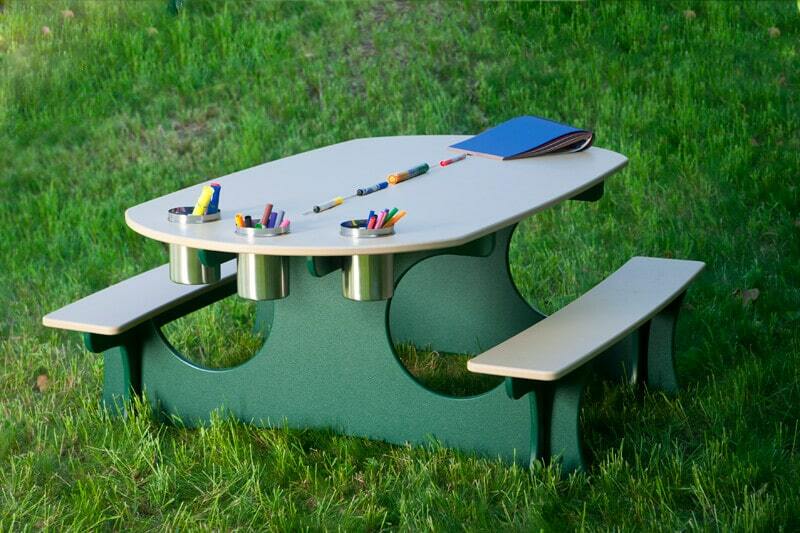 Outdoor art projects on this solid plastic top can be easily cleaned off with a garden hose. 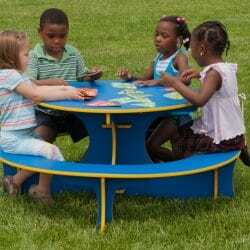 Children will have fun bringing items found on the natural playground to this outdoor table for preschoolers and creating their own masterpieces. Surrounded by the outdoors, young artists will be inspired by nature. Art supplies are not included.